In this post, GlobalWebIndex's Senior Trends Analyst, Katie Young looks at why social has become the go-to channel for sports fans, and why clubs need to start recognising the importance of social and mobile channels in reaching their target audience. At the end of last year, Manchester City became the first Premier League Club to hit 1m YouTube subscribers. In the same year, the club launched its new digital platform, Cityzens and Manchester United unveiled its in-house MUTV app. These are just a couple of examples of a shift taking place within sport, whereby sports clubs are recognising the increasing importance of social and mobile channels when reaching their audiences. But how serious could this digital disruption be and how should the industry respond? In a splintering media landscape, live sport has generally done well at retaining its appointment viewing status. Digital consumers still see a great appeal in watching sports live on a big TV screen, watching twice as many sports on TV as they do online. But ESPN, BT and Sky’s declining broadcast audiences suggest things are on the change. Just as digital consumers have become accustomed to consuming TV content whenever and wherever they please, a similar transition is coming into motion for sports too. More and more people are turning to their laptops, mobiles and tablets to engage with sports content – catching highlights on-the-go via social media and augmenting their viewing through on-demand channels. 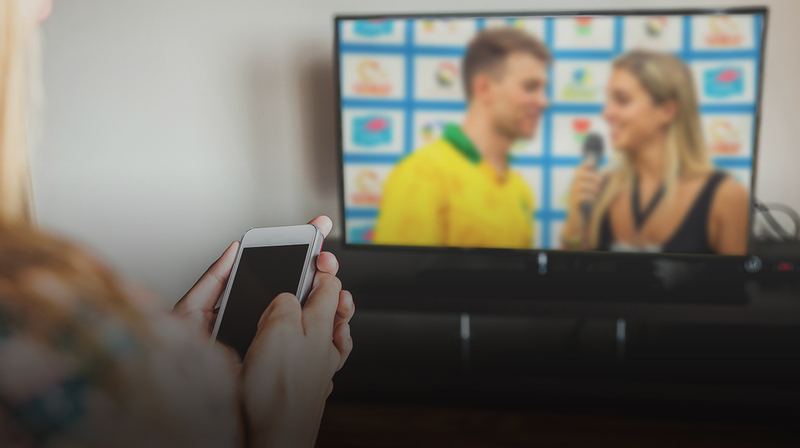 Our research shows that as many as 1 in 2 internet users are now watching sports coverage online – something Amazon will be hoping to capitalise on with its expected bid for Premier League streaming rights this year. Arguably, it’s social that could pose the greatest challenge, as well as the greatest opportunity, for sports broadcasters and rights holders. Back in 2016, Twitter announced it would stream the season’s National Football League games, and that was just the start. We’ve since seen a wealth of matches and tournaments streamed across social, with Twitter itself announcing that it has delivered over 800 hours of live streaming content across more than 450 events. Sports fandom has already progressed towards digital and social and this will only continue. 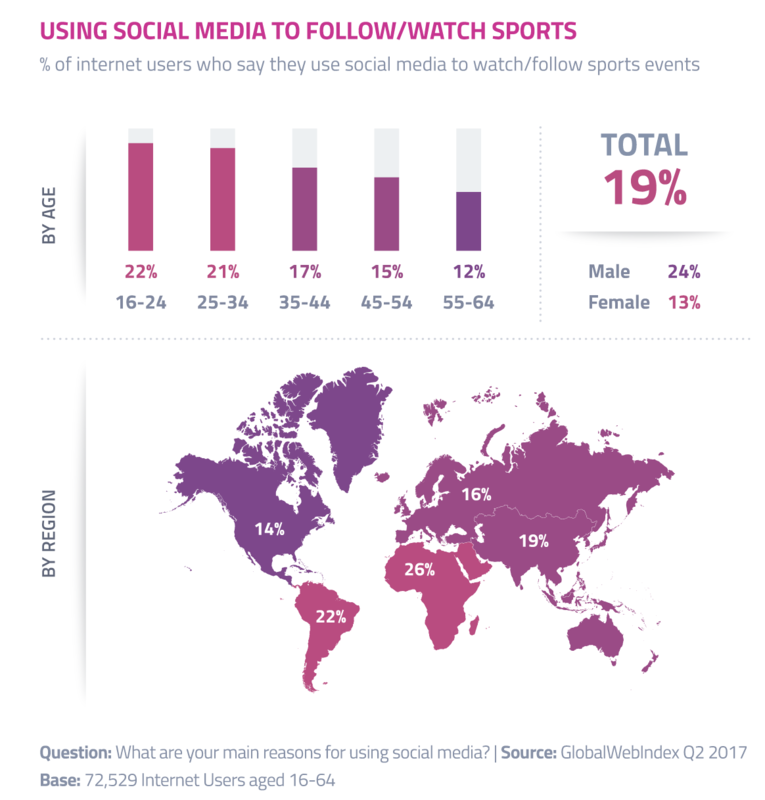 Globally, our research shows that almost a fifth of internet users are now following sports events via social, while 14% of those on Twitter say they have recently tweeted about a sports events. Social networks like Twitter and Facebook already own the fan commentary around sports, and it’s easy to see how users could see appeal in watching more sports content on these platforms – especially with the spread of video across social and mobile connections continually improving. For the foreseeable future, social media’s role will be to complement rather than replace traditional broadcasters. There’s no denying the reach and importance of televised sport but there are clear signs that an online revolution is happening, and rights holders will have to become less reliant on millions paying to watch live on their TV sets. Audiences now span a multitude of devices and platforms and it’s in the industry’s own interests to establish the best ways to fully engage their audience – whether that’s via a YouTube channel or its own app. Broadcasters alone can no longer satisfy the appetite for the modern football fan. 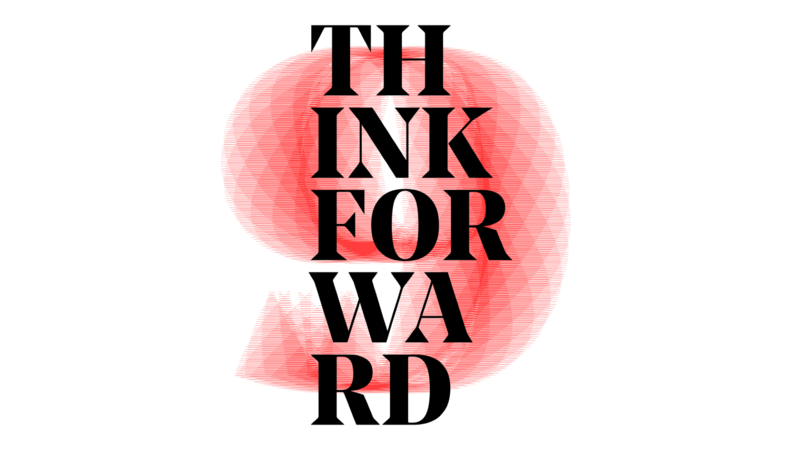 Chief Strategy Officer, Mobbie Nazir examines the key trends from our Think Forward 2019 report and the role brands play in shaping consumer identity.